PARCEL OF QLD.BOULDER OPAL RUBS AND SPECIMEN. COLOR IN ALL 8 STONES. 345.00CT. 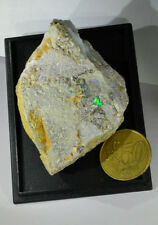 New Listing200 Carats Rough Coober Pedy and Andamooka Opal Graded Stones.